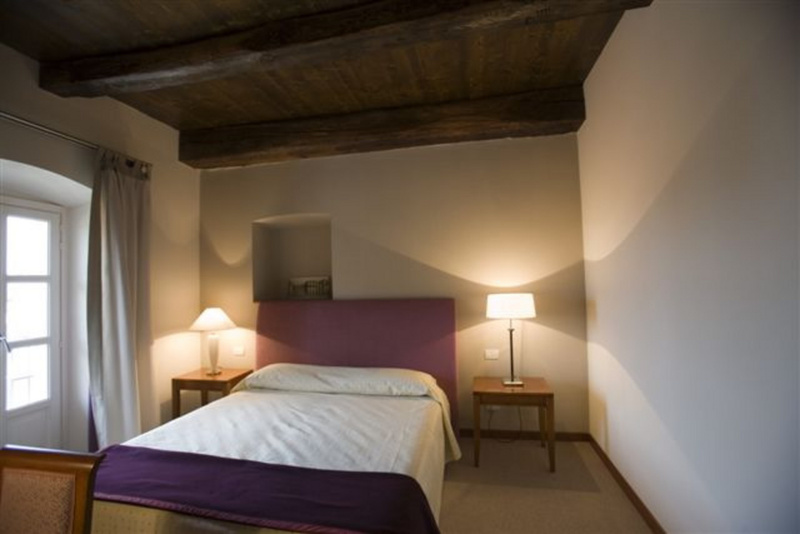 Elegant bedroom with separate sitting room and a balcony that overlooks the hotel’s internal courtyard with lovely views over Monviso and the medieval town. 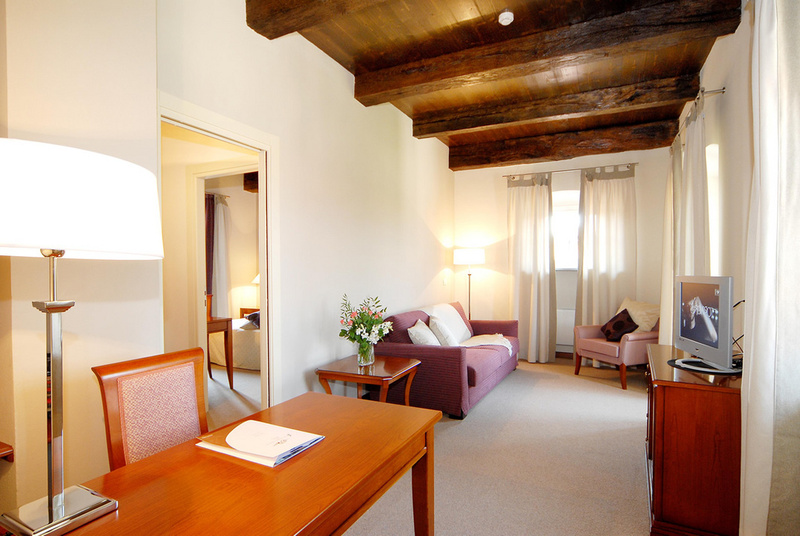 The wooden beamed ceiling and contemporary furniture are a perfect synthesis between present and past. The living room has a comfortable sofa bed. The large and luxurious bathroom has both a bath and a separate shower.